I have often noted that the general public has many misconceptions about blues music and none of them are positive. We have all heard them, blues music is sad. It is old fashioned. It all sounds the same. It is repetitious. The worst fallacy may be that there are no new, young artists making great records anymore. If there is anyone who still harbors any these notions after they get done listening to this month’s selections on the jukebox then they just might have a hole in their soul. For instance, it is impossible not to hear Lil Ed and the Blues Imperials and not have smile on your face. In the case of the new album by Rick Estrin and the Nightcats it may be hard to listen to some of the tracks without laughing out loud. 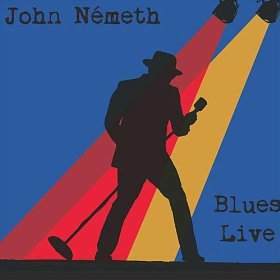 Young John Nemeth has released his first live CD. Check that, he just released two live CDs. They capture the vocalist extraordinaire at the top of his game. Smokin’ Joe Kubek and B’nois King make their Delta Groove Records debut and in going in a different direction they end up making their best record in years. One of the great bands to emerge on the scene over the past few years is The Igor Prado Band from Sao Paulo Brazil and their new album entitled Blues and Soul Sessions is absolutely stunning. These are some very talented young men. Enjoy these recordings and others on these new or soon to be released albums. 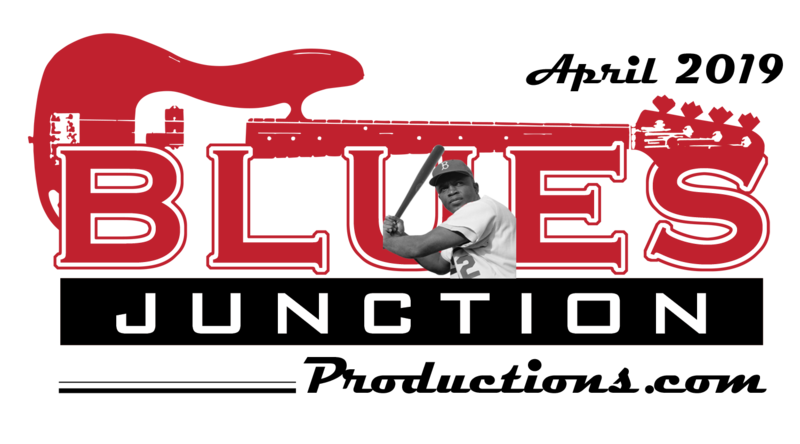 As you do, you won’t have to be reminded that blues music can be just plain fun. We just lost the great Johnny Bassett on August 5th. The singer/guitarist managed to fly a little under the radar as he preferred style, sophistication and substance over flash. 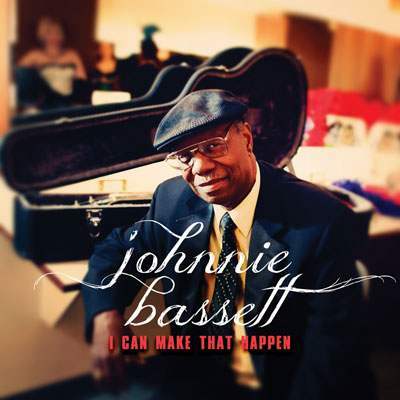 Johnny Bassett never made a bad album and his final recording is no exception, the 2012, Sly Dog Records release, I Can Make That Happen. The Florida native was long associated with the Detroit blues scene yet much of his style and influences came from the Texafornia school of blues. Bassett has sited T-Bone Walker as a primary influence. I chose an original tune with some fun lyrics, Let’s Get Hammered. 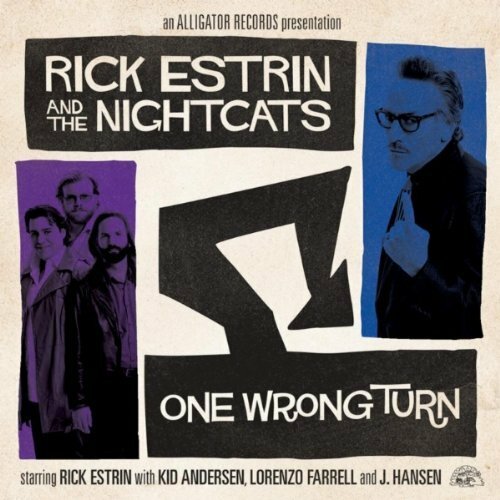 Rick Estrin and the Nightcats new release on Alligator Records may be the best album by Estrin and company in the long career of this Northern California based ensemble. One Wrong Turn is Estrin’s second post Charlie Baty CD. There isn’t a clunker in this twelve song collection. I could have gone in many directions but the song (I met her on the) Blues Cruise is just too funny. This flotilla of musicians who should know better and their groupies who don’t, have been begging to be lampooned for some time and Estrin is just the man for the job. 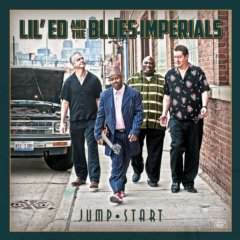 Lil Ed and the Blues Imperials, like Rick Estrin, are long time Alligator Records recording artists. Their new release, Jump Start, finds the slide guitar dynamo front man returning to his tried and true formula of J.B. Hutto meets Hound Dog Taylor style in your face, post modern Chicago blues. The Blues Imperials are guitarist Michael Garrett, bassist James “Pooky” Young and Kelly Littleton on drums. They are augmented on a handful of tracks by keyboard wiz Marty Sammon on loan from the Buddy Guy band. The tune Musical Mechanical Electrical Man is like much of the album in that it is a Lil’ Ed Williams original and is a lot of fun. 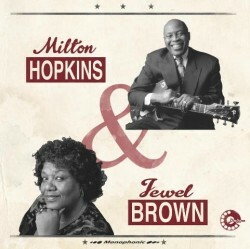 Milton Hopkins and Jewell Brown have been fixtures on the Houston blues scene for decades. Hopkins' career includes stints with Grady Gaines and the Texas Upsetters during and after the period that they barnstormed with Little Richard. Hopkins also had an eight year run with the B.B. King’s orchestra in the 70’s. He has backed up some of the biggest names in blues and r&b and finally has released an album under his own label, Dial tone Blues. He is joined by longtime Houston resident and former Duke/Peacock recording artist, vocalist Jewell Brown. They do a great take on the often covered Rudy Tooms tune I’m Shakin’ and make it their own. Also check out the instrumental Tater Tots and get a taste of one of the great and yet widely underappreciated guitarists in the blues. B.B. 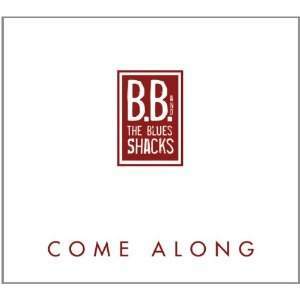 and the Blue Shacks' July, 2012, release, Come Along on Cross Cut Records is another gem from this terrific German Band. The band consists of front man vocalist and harmonica player Michael Arlt, his older brother Andreas on guitar, bassist Henning Hauerken, Bernhart Egger on drums and Dennis Koeckstadt on keyboards. In classic Blue Shacks fashion they offer up an eintopf of blues styles that include r&b, west coast blues and jump blues all with heavy doses of soul. What makes this one of the best albums by these Bavarian Blues men is that they allow themselves to stretch out a little more instrumentally than on previous albums. The album also features all original tunes. Raise Your Voice is an up tempo shuffle that we have been dancing to out here at the JUNCTION. 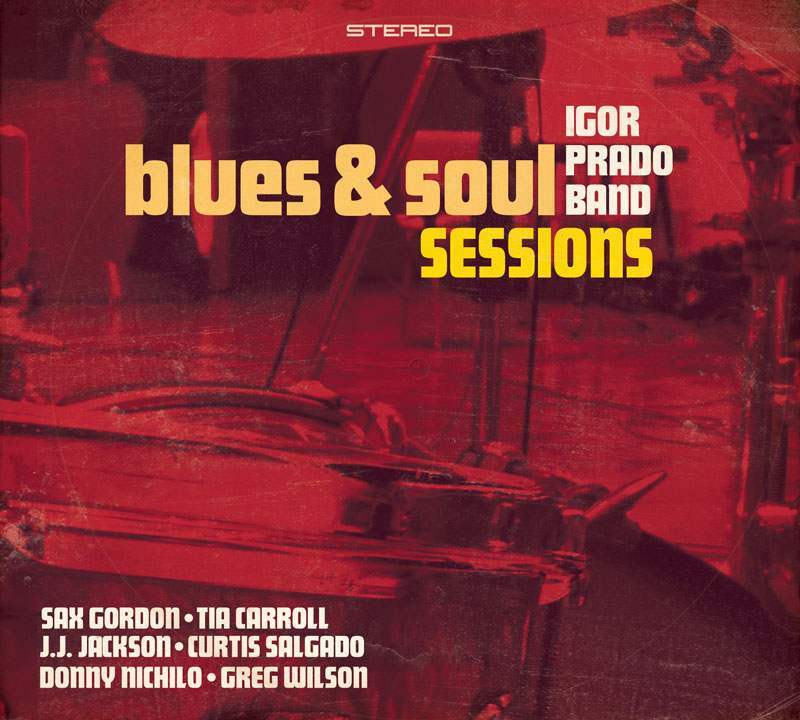 The Igor Prado Band’s new album is entitled Blues and Soul Sessions. This Chico Blues release finds the Brazilian blues band cultivating the rich sound of 60’s era Memphis Soul. As Igor told me a couple of weeks ago, he wanted to show people the soulful side of blues and the bluesier side of soul. Guests on the album include Sax Gordon and vocalists Tia Carroll as well as Curtis Salgado. I went with a tune that features Salgado up front on vocals. On the tune Lucky Loser, he ventures into territory where few people whose name isn’t Soloman Burke have ever ventured. John Nemeth put out not one but two albums last June. Their titles are fairly self explanatory. They are called Blues Live and Soul Live. Both CDs were recorded at San Francisco Bay area shows in March of this year. He is backed on these CDs by his current road band which includes guitarist AC Myles and Tommy Folen on bass. Former drummer Nick Fishman is on board as well as guitarists Chris Andersen and Bob Welsh who also are former band mates. Special guest keyboardist John Lee Sanders is featured on the CDs as well. I chose a tune from the CD Blues Live. It is an autobiographical original entitled, Country Boy. 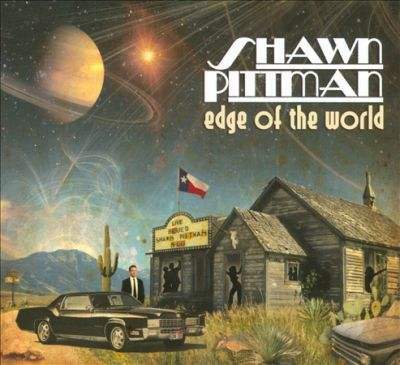 Shawn Pittman’s Edge of the World is his most recent release. The 2011 CD by the multi-instrumentalist marks his Delta Groove Music debut. Pittman plays guitar, piano, bass and drums on the album. In other word,s every instrument except the horns. The tune Almost Good is another song that is imbibed with subtle humor. This tune, like much of the album, is full of originals written by Pittman and a unique writing partner Lewis Dickson. You can read more about Shawn Pittman in this month’s BLUES JUNCTION. 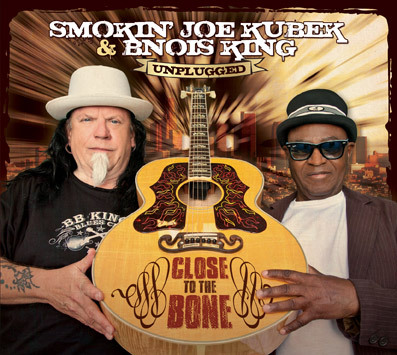 Joe Kubek & B’nois King upcoming September 18th release, Close to the Bone, is their Delta Groove Music debut. The album, a 100% acoustic affair, is a huge departure from what fans of this dynamic duo from Texas have come to expect. The album is full of some special guests including the rhythm section of bassist Willie J. Campbell and Jimi Bott on a handful of tracks. They are also joined by Kirk Fletcher, whose acoustic playing is extraordinary. Other guests include Shawn Pittman, Paul Size, Fred Kaplan, Bob Corritore, Big Pete and Randy Chortkoff. The Texas Alexander song Mama’s Bad Luck Child features Lynwood Slim playing some very tasty Big Walter Horton influenced acoustic harp.